CHICAGO (WLS) -- Chicago Sinfonietta founder Maestro Paul Freeman died in Victoria, British Columbia, Canada, at the age of 79 from health problems, a Sinfonetta spokesperson says. Courtney Perkins, director of development and operations for the Sinfonietta, says Freeman had been fighting a number of physical challenges over the last few years. He died with his wife Cornelia and son Douglas at his side. The family is planning a private ceremony in Canada and a public memorial service in Chicago in September, Perkins says. "I feel so blessed knowing that all of us have been brought together and are forever united as members of the Chicago Sinfonietta family because of Paul's profound legacy," Perkins said. "I will be forever grateful to him for that." 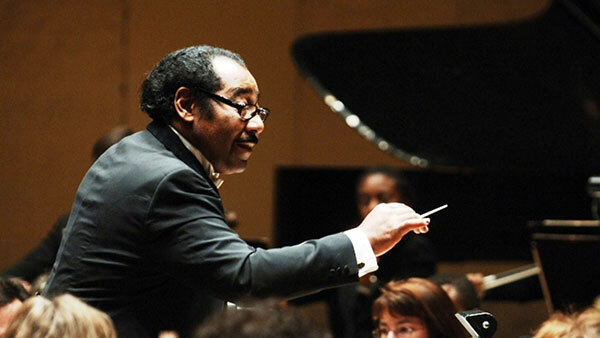 Freeman was born in Richmond, Va., and established himself as one of the country's leading conductors. He led more than 100 orchestras in over 30 countries and received his Ph.D. from Eastman School of Music and studied in Berlin on a U.S. Fulbright grant. He founded the Chicago Sinfonietta in 1987 as a mid-sized orchestra dedicated to promoting diversity, inclusion and innovative programming. Along with classical staples, the orchestra regularly performed music by composers of color to great acclaim. Under Freeman's guidance it also used unusual instruments like bagpipes, steel drums and sitars. Freeman also relished partnerships with arts organizations and ensembles like the Luna Negra Dance Theater, the Apostolic Church of God Choir, alternative rock group Poi Dog Pondering and others. Freeman retired as the Chicago Sinfonietta's Music Director at the end of the 2010-2011 season.